Naturally & artificially flavored. 90 Calorie pouches. Good source of calcium.Made with real fruit juice. 100% DV Vitamin C. For over a century, Sunkistgrowers have harvested sweet, juicy fruit and delivered it to you and yourfamily. 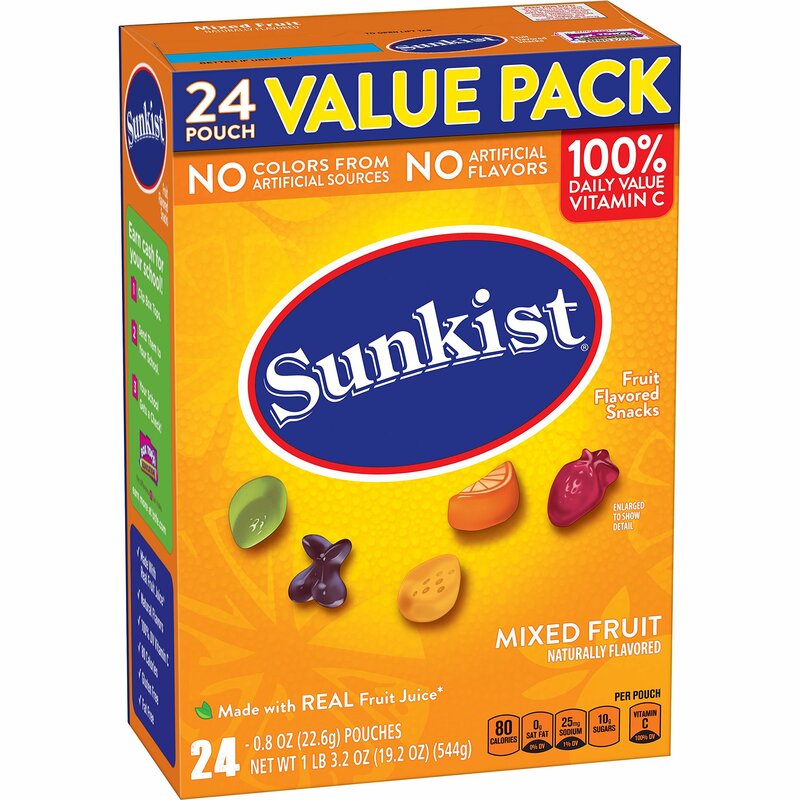 The tradition continues with Sunkist Fruit Snacks. CarbohydrateChoices: 1. Made in U.S.A.